The world of Virtual Reality is evolving rapidly and opening up new and exciting ways for brands to engage with their audience. With the growing demand from brands to test the waters with Virtual Reality the team at Lightweave have developed a quick and easy solution. The Lightweave Licensable Collection is the latest offering from the company to align with the mission of making Virtual Reality easily accessible. With activations already provided to Westfield, JLL and QIC, the Lightweave Licensing Collection has already seen thousands of users experience the world of Virtual Reality. Lightweave Managing Director Sam Hussey understands that not all clients are going to require custom built content and licensable Virtual Reality experiences are a perfect solution for short term offerings. The release of the Lightweave Licensable Collection aligns with the vision for creating totally immersive experiences for consumers and making sure that the our clients have the ability to engage with the users after the Virtual Reality activation period. “The Lightweave Licensable Collection has been developed to provide clients with cost effective Virtual Reality activations. Brands can now license pre-developed experience for a day, a week or year and benefit from key features we have developed into the product such as high throughput options, data collection and social media integration. The announcement is just one of many major steps Lightweave is taking to be the leader within the experiential space. As the growth of technology continues over the next 12 – 24 months, there will be opportunities for brands to really take their audience through unbelievable experiences. The Licensable Collection from Lightweave will grow with technology and make sure clients are able to provide solutions with leading technology. ‘Field of Play’ provides multiple games for different sporting codes. 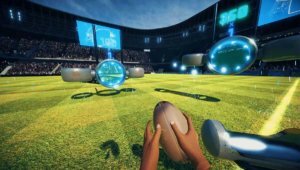 The current available licensable Virtual Reality options are Rugby League and Australian Rules experiences. The content provides users with the ability to stand inside a stadium experience, with crowd interaction and 60 second ‘Beat the buzzer’ . ‘DinosaursVR’ provides a completely immersive Dinosaur Experience, opens up the prehistoric world like you’ve never seen it before with life size dinosaurs only feet away. 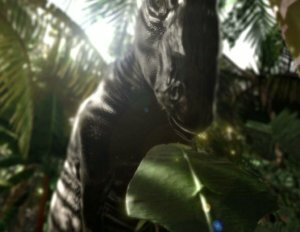 The user is able to feed a dinosaur and a custom immersive floor shakes as the dinosaurs move around the user. ‘Space Explorer’ provides an out of this world experience, where users can stand on the moon and interact with zero gravity objects in a completely interactive experience. The soundtrack provides a completely inspiring mix between educational and entertainment. 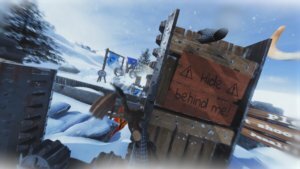 ‘Snow Slingers’ provides a multiplayer experience provides users the experience to sling snowballs at each other in a completely mess free experience. The completely interactive experience provides each user with a slingshot and 60 seconds to score the highest points to be the leader of the entire activation period. The content has a completely custom leaderboard, which is visible to all users. For more information about the Lightweave Licensable Collection, projects are divided into the categories of Experiential VR, Sports VR, and Augmented Reality.